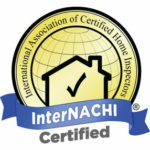 InterNACHI, the International Association of Certified Home Inspectors, is the world’s largest inspection trade association. Based in the United States, InterNACHI is both non-profit and federally tax-exempt, and operates in 65 different countries and nine languages with over 22,000 members. InterNACHI is the inspection industry’s largest provider of education and training. InterNACHI has been awarded more than 1,400 governmental approvals and accreditations. Additional information about InterNACHI can be obtained at the association website www.nachi.org.